Our latest data shows that Jordan spent $1,382,000,000 on their military in 2012 which amounted to 4.6% of the country's GDP that year. Check out the chart below for more Jordanian military budget data. We can only publish the past 12 years, but SIPRI has data as far back as 1988 on their site. Royal Jordanian Land Force (RJLF), Royal Jordanian Navy, Royal Jordanian Air Force (Al-Quwwat al-Jawwiya al-Malakiya al-Urduniya, RJAF), Special Operations Command (Socom); Public Security Directorate (normally falls under Ministry of Interior, but comes under JAF in wartime or crisis). 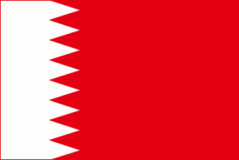 17 years of age for voluntary male military service; initial service term 2 years, with option to reenlist for 18 years; conscription at age 18 suspended in 1999; women not subject to conscription, but can volunteer to serve in noncombat military positions in the Royal Jordanian Arab Army Women's Corps and RJAF.